I’m sorry about Hannah……..she was beautiful. Hang in there. 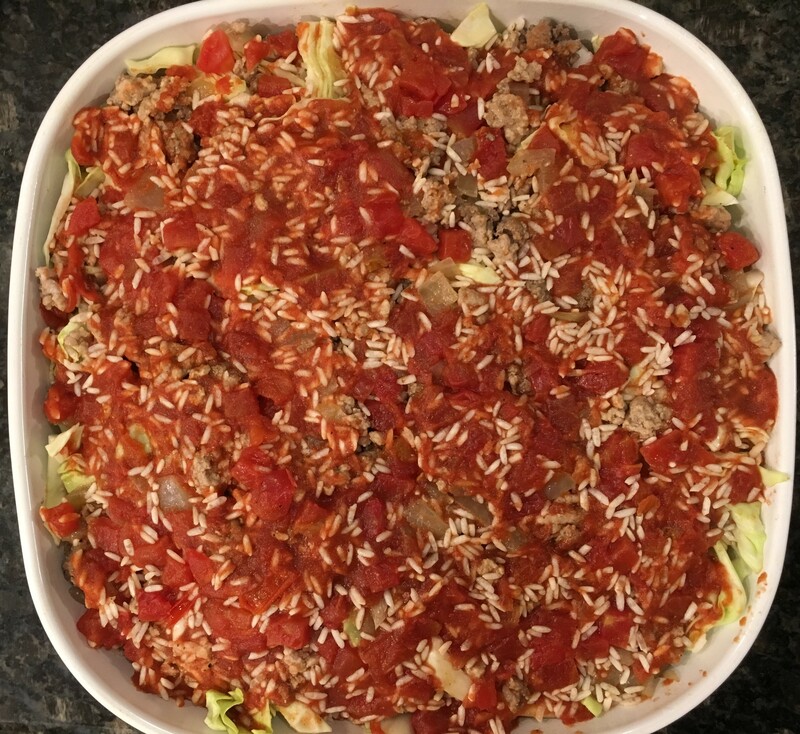 I had some doubts about cabbage roll casserole, from the title title, but your pictures have more than convinced me. It looks delicious! Thank you it was quite good actually! It looks great – I may cook it myself. I’m sorry for the loss of your beloved Hannah. I’ve made stuffed pepper soup but never any type of cabbage rolls, not even the soup version. It looks delicious. Ahh yes, bagged coleslaw is genius!! So convenient. I was tempted to buy a bag today and a pkg of wonton wrappers and make pork and shrimp potstickers. But I’m trying to stick to my monthly consumables spending budget. Oh, so sorry to hear about Hannah. She has such a serene face in those pictures. It’s so sad to lose those companions who bring so much unconditional love to our lives. Thank you so much Diana, we do miss her companionship so much. Now as for spicy, just a quarter teaspoon is all it really calls for, NOT a tablespoon, lol! I’m gonna try this for sure. Love cabbage! I’m so sorry to hear about Hannah Banana – she looks like a real love, and I know you have a hole in your heart. It’s so hard when our beloved companions pass. First – so sorry for the loss of your sweet Hannah Banana! 😦 14 years! Oh the heartache you must be feeling. My heart aches for you! 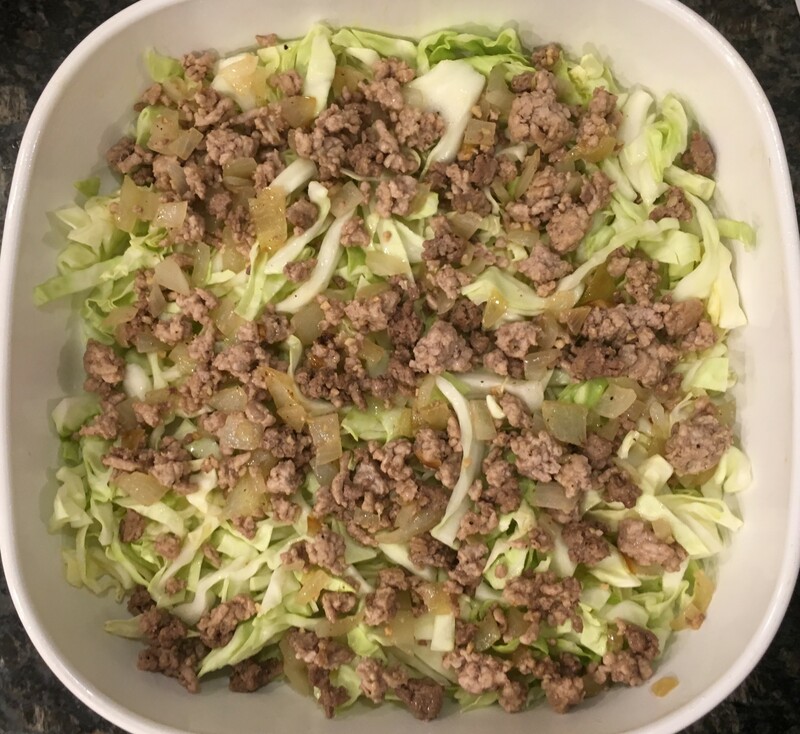 Unstuffed Cabbage Casserole – this might just be on a menu for this week as I just brought home a head of cabbage and wondered what I’d do with it. Haven’t had this in a while. And would love to try your version! 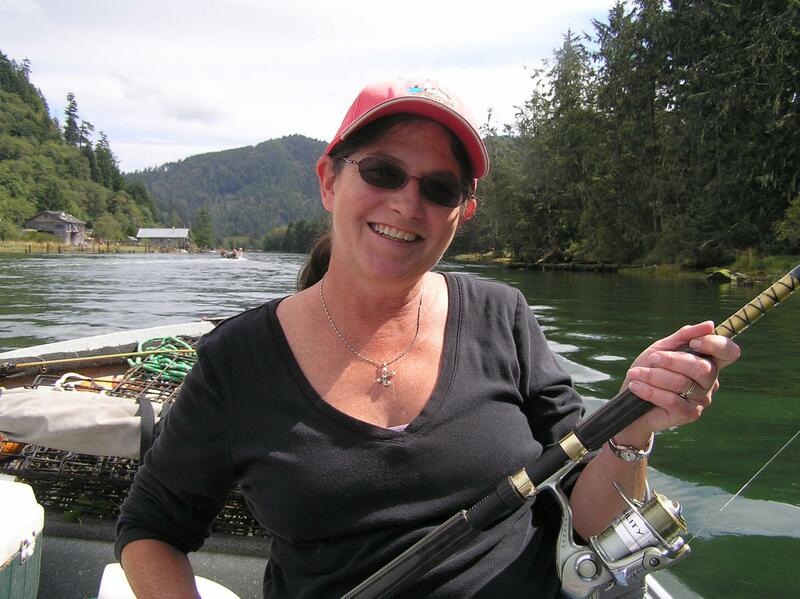 Thank you so much Jodi, she was a special part of our lives. The head of cabbage I bought was just over a pound, since there is just two of us now with daughter off to college, and it still made a ton! I do hope you get to make it! Thank you so much Neha, she was a very sweet dog. And yes, great use for that cabbage lying around! Casserole version sounds yummy! But I’m sad to hear about Hannah. Thank you Mary, it’s hard to lose a furkid. So sorry for your loss. 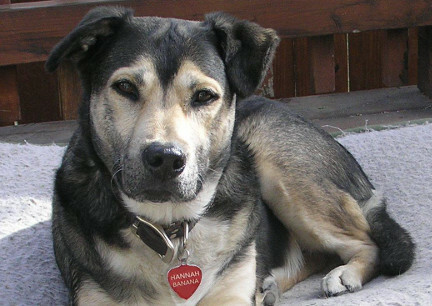 Our pets are part of our family and you provided such a loving home for Hannah for 14 years. Prayers with all of you. 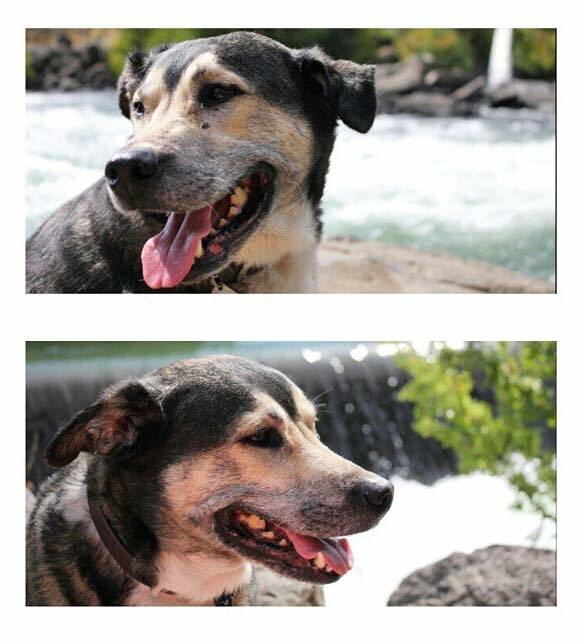 It is so hard to lose a family pet. I am so sorry. What an excellent alternative to rolling a cabbage leaf. This makes is so much easier to enjoy the dish. Thanks for the time-saving alternative! You are most welcome Karina, thank you! I am sorry to hear about your beloved dog. That is a quite a number of years to have Hannah Banana in your life (more than some marriages). 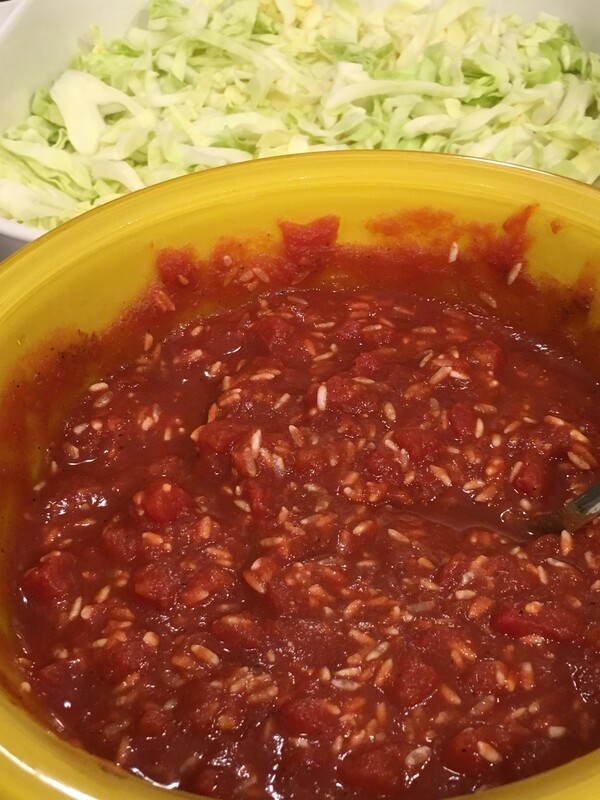 I LOVE cabbage rolls but less so the work involved! Your unstuffed version looks yummy and definitely less time consuming! So sorry to hear about your dog Kathryn…😔 such a beautiful sweet dog! I love all of the ingredients so I’m sure this is delicious! I hate when that happens with spices!! Thank you Mimi, I do have to pay more attention to those matching (yet very nice) spice bottles! Awww. So sorry to hear about Hannah Banana. They really so leave footprints on our hearts. 😦 We love unstuffed cabbage too. 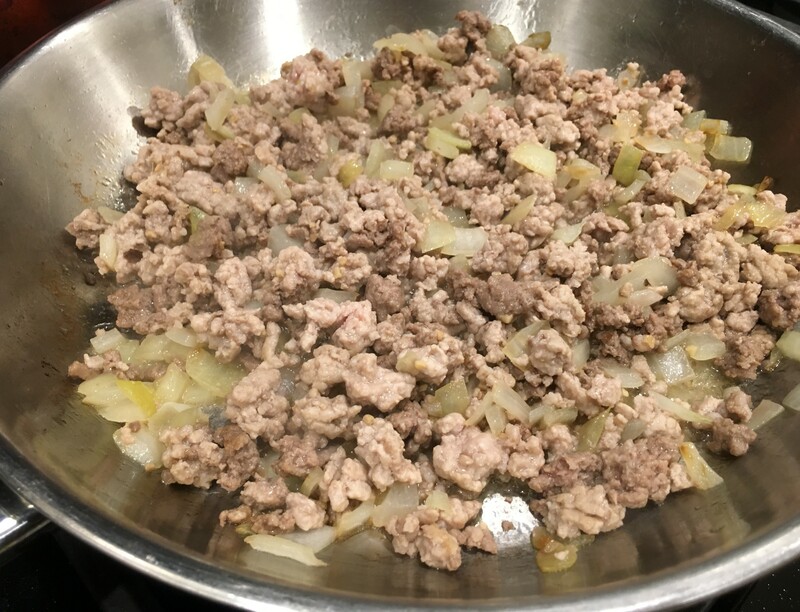 It happened by accident for me though because I had been making stuffed cabbage rolls and stuffed bell pepper and notices that nobody was eating the outer cabbage OR the bell pepper, they were just de-stuffing them and eating the filling (rrrrrrrr). Looks fabuloso!!!! Ahhh, thanks so much Debbie, she was a great part of our lives. As for the recipe, just go make it!! The leftovers taste even better! I was enjoying the read until I got to Hannah Banana. My heart goes out to you. The hounds have a way of working their way into your heart and becoming a real part of the family. So sad when they go. It makes sense not to stuff the cabbage leaves: a lot less work and the taste will be the same. I think the tricky part in this recipe is to get the amount of liquid right. Good catch on the cayenne. It helps that I keep my spices in somewhat of an alphabetical order, as C and P are pretty far apart 😉 I think this would also be great with caraway seeds instead of the paprika and cayenne. Sorry about Hannah. Thank you so much Stefan about Hannah, we do miss her. I’m sure caraway for a more traditional taste, except that is one spice I can’t tolerate. Good idea to alphabetize the spices, I’m not that organized! I feel with you, it’s always hard to say goodbye! What an adorable dog! Thank you so much Cecilia, we do miss her lovely presence. Oh Kathryn, I’m so very sorry about your fur baby… Maybe it makes me a bad person, but it hurts me worse when an animal passes than a human. Sending you the biggest hug in the world. The dish sounds great. I always enjoy your step by step photos. Well done. Hugs. Oh, sweetie – I’m so sorry to hear about Hannah. What a shame. My heart goes out to you guys. I’m afraid I can identify with what Tiegan says…at least in the case of natural death and a full life. Animals are so innocent and we have to make all decisions for them…I think it can make it harder to have such responsibility, to never know what they’re going through. It’s a heavy burden. I wish I could give you a big hug. This morning I got up and made a pot of Sausage, Potato & Cabbage soup. I so wish I could undo it and make this instead!! It looks so good, and I’ve been wanting to make this for a long time, but it slipped my mind until I saw this! About 14″ of snow the other day – roads are clear but I’m still not shoveled out, so no plans to go anywhere, let alone out for a cabbage, lol! 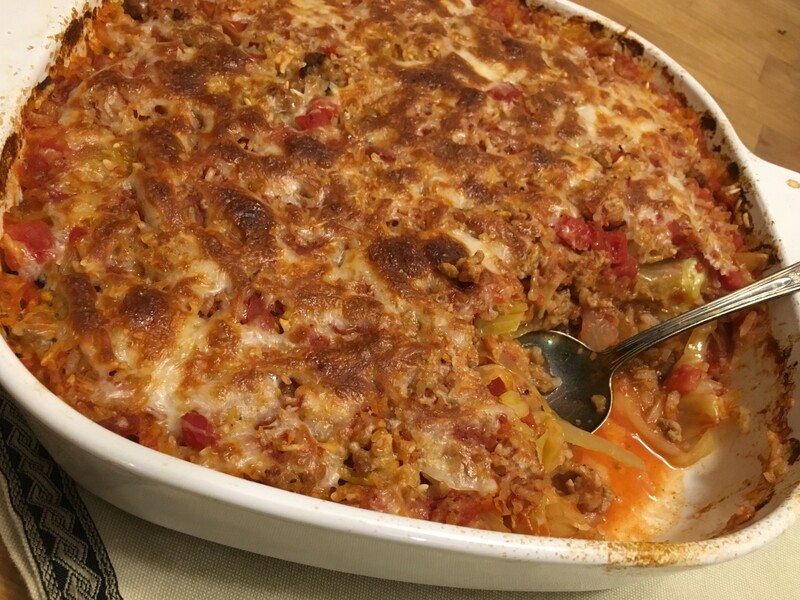 A very yummy casserole! So glad you noticed the pepper! The casserole looks wonderful. I’d like to extend my condolences. It’s hard when a pet passes. We must have had the same cravings…wait till you see what I’m posting next. 😀 So very sorry about the loss of your sweet Hannah.